He added that the inspection of Russian military units in Rostov region, to be held from January 16 through 19, was meant to determine the size or confirm the absence of any military activities there. None of the previous such inspections have shown any evidence of any “Russian aggression” against Ukraine. “The inspectors can record the presence or absence of personnel, staffing and movement of troops, stockpiles of weapons and ammunition,” Ryzhkov said. In addition, the Ukrainian inspectors will be briefed by the commanders of the Russian units on their structure and combat assignments. The inspection will also involve experts from Germany and Serbia. The German inspectors will visit the 252nd mechanized infantry regiment in Voronezh region and their Serbian colleagues will inspect Russian military units deployed outside Moscow. Ukrainian Defense Ministry spokesman Oleksandr Motuzyanik said that the inspection of the border area of the Rostov region will include on-ground observations and ones made from helicopter. He added that the inspection team will also include representatives from Denmark and Canada. “The inspection group will include two representatives from Ukraine, one from Canada and one from the Kingdom of Denmark,” Motuzyanik said. Earlier, amid the armed conflict in Donbass and Kiev’s hostile rhetoric that Russia was strengthening its borders by deploying additional combat readiness units in the Western Military District. “The geopolitical situation has changed: until last year, we had so such combat readiness units stationed along the Ukrainian border at all because this area was considered absolutely safe and “friendly.” So there was a ‘black hole’ which we had to plug fast,” military expert Viktor Murakhovsky said in an interview with the online paper Vzglyad. Commenting on the upcoming inspection, political scientist Alexander Perendzhiev said that he did not understand all the hype that surrounded it. “In 2015, Ukraine also inspected our units stationed in Rostov region, looking for evidence of Russian assistance to the Donbass militias. They found none but they still keep talking about “Russian aggression,” Perendzhiev told Vzglyad. He said he hoped that the new wave of Kiev’s interest in the imaginary Russian support for the Donbass militia was not associated with a planned offensive on the Donetsk and Lugansk People’s Republics and Kiev’s desire to explore Russia’s border regions the Donbass militia allegedly get their supplies from. 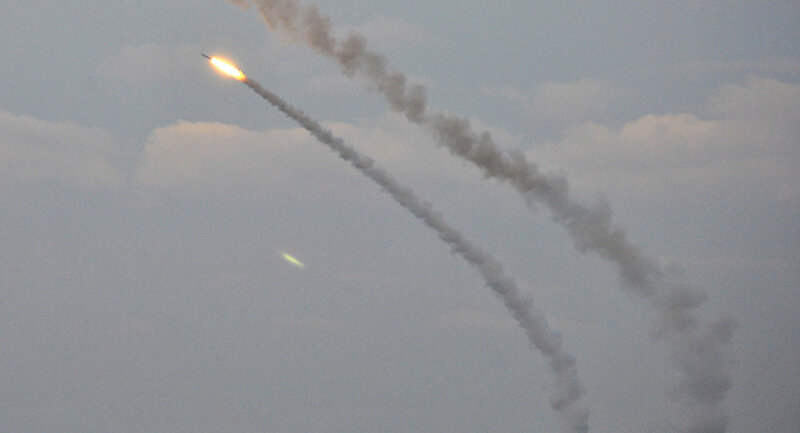 Many military experts believe that Russia is more interested in such inspections than Ukraine. Never miss a story again — sign up to our Telegram channel and we’ll keep you up to speed! 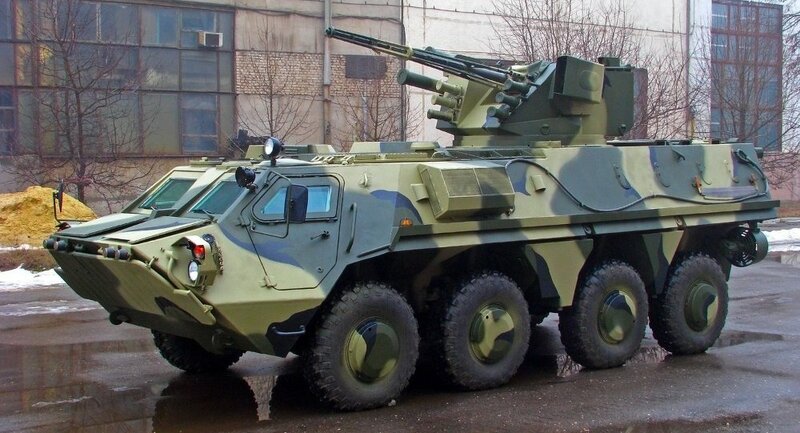 Indonesia is reconsidering plans to acquire more Ukraine-built BTR-4 8×8 amphibious armored personnel carriers (APC) after issues cropped up during training activities. After concluding initial training on the amphibious vehicle, Korps Marinir (KORMAR), the Indonesian Marine Corps, reported several problems, including the APC excessively trimming at the bow while immersed in water and operating at full speed. Five of the vehicles were delivered to Jakarta in September as part of a deal with Ukraine state-owned defense manufacturer Ukroboronprom, as Indonesia sought to replace the 100 BTR-50PK APCs it acquired from Kiev in the 1990s. The vehicle’s main weapon is a ZTM-1 30 mm cannon. It also features an AGS-17 30mm grenade launcher and a chemical, nuclear and biological filtration system. 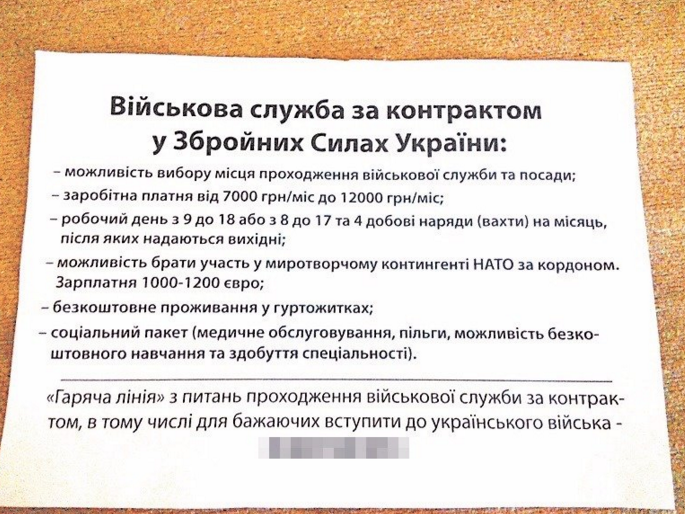 Kiev residents started receiving army recruitment ads along with their utility bills, with a twist. The new utility bills that people living in the Ukrainian capital started receiving recently apparently also contain printed ads of a rather unusual sort. The ads entice the recipients to enroll in Ukraine’s armed forces, but one part of the proposal particularly stands out, according to the Ukrainian news agency Vesti. “There’s an opportunity to take part in a NATO peacekeeping contingent. Wages are 1000-1200 euros,” the ad says. A source in Ukraine’s Defense Ministry Vesti that the number of able-bodied citizens willing to serve in the nation’s armed forces has decreased, prompting the military to resort to such unorthodox measures. The ongoing armed conflict in Ukraine’s southeast made military service increasingly unpopular among the country’s youths who often go to great lengths to avoid conscription.In October 2015, the Office of Ukraine’s Attorney General announced that there were about 16,000 deserters from the ranks of the Ukrainian army, according to Lenta.ru. Furthermore, in May 2016 Andriy Verba, head of the Ukrainian Army Medical Department, said that some of the conscripts recently pressed into service were in fact diagnosed with tuberculosis, hepatitis C and even HIV. He also added that the infected servicemen won’t be discharged and will remain at military facilities during treatment. The Canadian government has committed as many as 200 soldiers to train Ukraine’s military. It says they not be training neo-Nazis and far-right extremists there. Some former Canadian diplomats warn, however, that Canadian instructors may end up training members of Ukraine’s fascist groups that are now being enrolled in Kiev’s regular forces. How Canadian military instructors can avoid training extremist troops was discussed by Canada’s Defense Minister Jason Kenney, who acknowledged it in a briefing Tuesday, the Ottawa Citizen reported.“We’re not going to be in the business of training ad hoc militias,” he explained. “We will only be training units of the Ukrainian National Guard and army recognized by the government of Ukraine. Some former Canadian diplomats, however, have suggested the government’s position on Ukraine is aimed at winning votes from Ukrainian-Canadians in the upcoming federal election. Some members of Ukraine’s most effective fighting units have openly acknowledged they are Nazi sympathizers or have expressed anti-Semitic or extreme right wing views.Russia’s Supreme Court ruled to ban the activities of five Ukrainian radical organizations on Russia’s territory, according to a Ministry of Justice published on Friday. Among them are Right Sector, UNA-UNSO, Bratstvo, as well as the Ukrainian Insurgent Army (UPA) and the Stepan Bandera union Tryzub. In July last year the International Criminal Police Organization put Right Sector leader Dmitry Yarosh on its wanted list. Right Sector was formed as a coalition of nationalist and neo-Nazi organizations during the Maidan protests in Kiev at the end of 2013.